RM Studio does only have one user by default and that is the RM Studio Administrator. 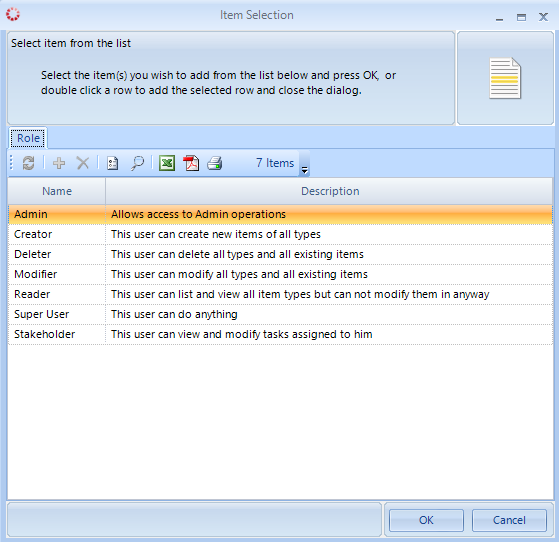 The administrator can then create other users and assign username, password and role inside the program. Press the ‘+‘ to create a new user. Fill out the general information for that user. Choose a username that will be used by the user to login. Choose a unique password for the user. Windows Authentication can be used for the login. Change the Authentication Type (7) to “Windows Integrated” and input the username (3) for that user’s Windows login. This bypasses the need for the user to remember another unique password and username. 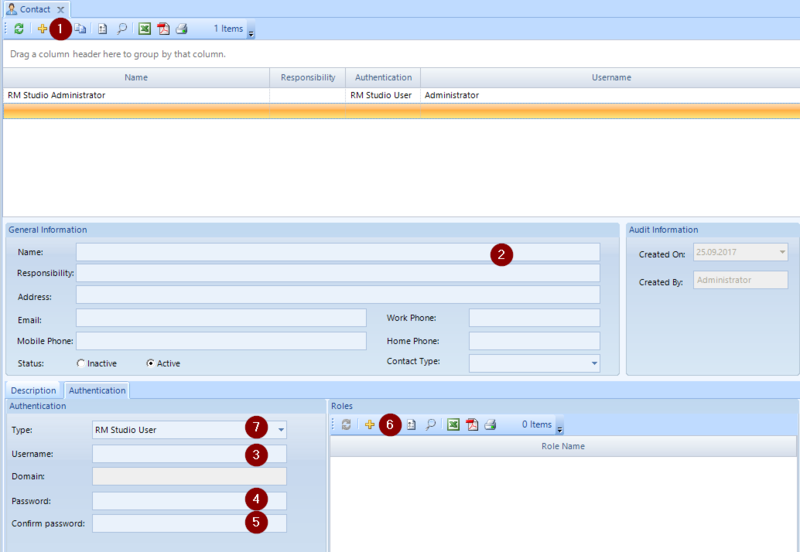 Below is the dialog window for assigning roles to the user. Every default role is explained, but it should be noted that the Admin role can do anything, and the only role that can create new users. If you need to create new roles, use the Security option under the Main menu and then assign to users.